As Associate Engineers for ENGVT, both Tim and Karl are directly involved with modeling mechanical pipe and plumbing systems, as well as supporting other members of the team. 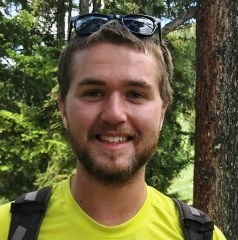 Karl Spooner joined ENGVT in May of 2017. He holds a B.S. in Mechanical Engineering from Clarkson University. While there, he was the team leader for a senior design project to create a dynamic model of a Generation 4 Nuclear Lead-Cooled Fast Reactor. The team used COMSOL Multiphysics Modeling Software and obtained data relating to the function of the reactor and successfully designed a shell which promoted free convection of the heat transfer medium. Karl also worked to repair a Varestraint hot ductility testing machine. This multi-discipline project required practical knowledge of motors, hydraulics and welding. The machine was returned to a working state to test hot cracking susceptibility of different metals. As part of his first year at ENGVT, Karl assisted with the recruitment, hiring, and now mentoring of Tim out of Clarkson University. Tim Martin, prior to joining ENGVT, worked as an intern at General Electric Co-Op in Evansville, Indiana, where he designed digital test sheets for iPads, created web-based workflows and site-audited chemicals and updated MSDS. 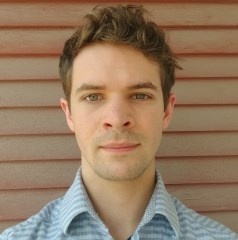 Tim has experience in SolidWorks modelling software and has developed mathematical models to describe the motions of moving objects. He also designed and built a prototype collapsible bear-proof storage container for backpackers. He is OSHA certified to operate Four-Wheel Forklifts and Narrow-Aisle Reach Trucks. Tim holds a B.S. in Mechanical Engineering from Clarkson University, where he earned a 3.8 GPA. Tim enjoys the outdoors with hiking, running and skiing. At the end of the day, ENGVT is dedicated to maintaining the highest standard of service for its clients, and this commitment to excellence is reflected in the quality of our roster.